There are certain people, such as property managers and landlords who are responsible for treating any pest infestations that could affect the building’s tenants. They can control this type of problem if they rely on our local exterminators in Nassau County, Latin American Exterminator. A landlord or property manager must always be fully aware of a pest problem that is happening in or around the building they are responsible for. When you have a pest infestation, it can become very problematic if not reported to the right person. In fact, the superintendent of your building should feel free to let you know if a problem exists. Tenants should also know that they have an open line of communication. The problem with pests can cause you and tenants a lot of aggravation. Your pest problem could become a lot worse if the problem isn’t reported and is allowed to grow and spread throughout the apartment building. When treating a pest problem in an apartment building, we often treat the same things: rats, mice, rodents, bed bugs, rodents, cockroaches. The way to deal with a pest problem and get it under control is to have the right type of pest control plan in place; remaining proactive in keeping a pest free environment. With our Nassau County pest control services, we’ll inspect and treat your pest problem. We also offer you great communication throughout the process to ensure you know what is occurring. We assist our customers in coming up with an effective plan to treat their Apartment Building for the long-term. At Latin American Exterminating, we know that most property managers and landlords have a lot on their plates and when you have to deal with a pest problem, things need to be made easier on you. We are here at Latin American Exterminating to help make life easier for you. When you decide to work with our Nassau exterminators, we assure you that your pest control problem will be resolved. When our exterminators are asked to assist with an Apartment Building pest problem, they know that they will treat a specific type of problem since the same kinds of pests are known to infest apartment buildings. Our exterminators will also assist you in disposing of your trash so that it doesn’t create another problem. 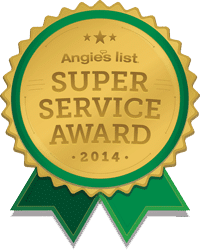 We design the pest control services offered to you based on the requests that we receive most often in Nassau County, NY. It is true that the best way to keep your business pest free is by contacting us to handle your pest control needs. Doing so will also enable you to maintain your fine reputation. There are various factors that our exterminators must consider before determining how much time it will take to complete the job. There is no way of knowing how long the job will take until we have had the opportunity to perform an evaluation of your property. It depends on the extent of your problem, as to how long it will take. We work really close with our customers to make sure we’re effectively addressing their concerns. There is no doubt that you will be able to receive what you want and need for your apartment pest control once the problem has been identified.